Supergirl | Kid Reporters' Notebook | Scholastic Inc.
What does it take to be the best at what you do? Powerlifter Naomi Kutin found out. Naomi Kutin is not a superhero, but she is as close as you can get. Naomi, 16, is a champion powerlifter who has earned world records for her weight class. 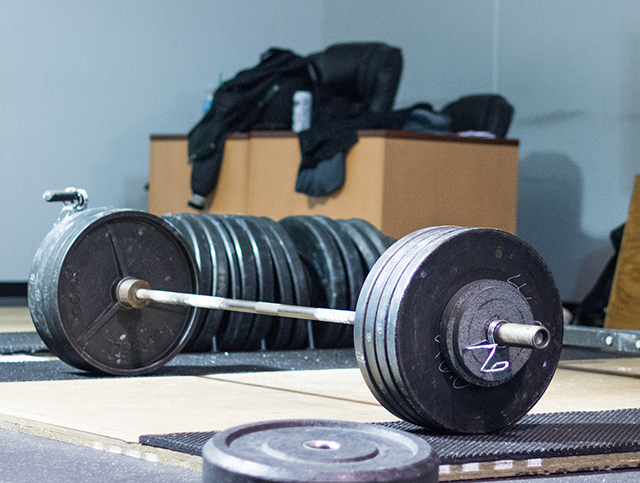 Powerlifting is a sport comprised of three components: the squat, bench press, and deadlift. Naomi, who lives in Fair Lawn, New Jersey, has broken five world records in the squat for women in the 97-pound weight class. She also has broken records in the deadlift. Naomi can squat 320 pounds, bench press 130 pounds, and deadlift 365 pounds. Supergirl, a documentary about her, will air on PBS on December 18 and 21. What made you want to start powerlifting? When I was eight years old, I was in a karate class. One day, my dad came to see me, and he saw that I was doing push-ups really well, better than the boys. I also was doing well in things that indicate strength. He has been powerlifting for over 30 years and practices in our basement, where we have a gym. My dad saw that powerlifting was something I could potentially be good at, so he asked me if I wanted to try it. I started working out in our basement and still do so with him as my coach. What are some of the challenges that you’ve faced with powerlifting? I’ve had a couple of injuries, and it took a few months to recover. I had to lower the weights a lot, and that was frustrating. I also get a lot of cyberbullying for what I do. People think that it’s terrible and I shouldn’t do it. That got kind of discouraging and made me not want to powerlift. But then I realized that’s ridiculous, and I shouldn’t stop because people online are telling me to. I noticed that people saw my lifting and were inspired by it. I enjoy making those people happy. There is a new documentary about you called Supergirl. Can you tell us about it? Jessica Auritt, the director, is Jewish, like me. After hearing about a Jewish powerlifter, Jessica thought that it would make for a fascinating movie. How do you balance school and powerlifting? It’s a challenge, but I prioritize school over powerlifting. At the end of the day, powerlifting is a hobby. If I have to do my homework, and I also have to do a workout, I do my homework first. My favorite subject is definitely history. Do you have Olympic aspirations? No. In the Olympics, you have to lift the weight over your head, and I don’t practice or compete like that. What do your friends think of your powerlifting? My friends are super supportive of my accomplishments, and they love seeing me compete. I really like photography, and I’ve won a couple of photo competitions. What do you want to do when you’re older? I’d like to make a career out of powerlifting, but that’s not so practical. I want to keep powerlifting no matter what I do, and I want to keep that as a part of my life. I’d really like to be a psychologist because the way people think interests me. Do you have any advice for our readers? Don’t be afraid to try a new hobby or do new things. I was scared when I started powerlifting because I wasn’t sure how people would react. But going out of my comfort zone turned out to be an amazing decision.